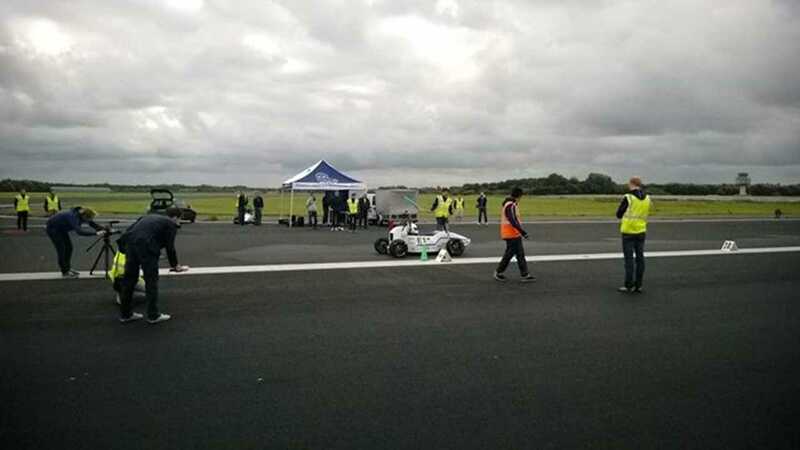 On Friday September 20, Dutch racing team DUT Racing attempted to smash the EV acceleration record at Valkenburg Airport with its DUT12 Formula Student racer. According to DUT Racing, the previous 0-100 kph (about 62 mph) record stood at 2.68 seconds. The DUT12 accomplished the feat in 2.15 seconds (or 2.13 depending on the source). This figure is not as quick as top electric dragsters (none of which attempted to best the current record), but it will likely still be quick enough for the Guinness World Record. "As of yet, it is uncertain whether we may say that we hold the record, Guinness still has to approve, but the future seems bright. The thanking day, in combination with the World Record attempt, was a finish with a bang. On a final and important note, we would like to thank all our supporters for another year of electric (or should we say electrifying?) racing. Be prepared for DUT14!" 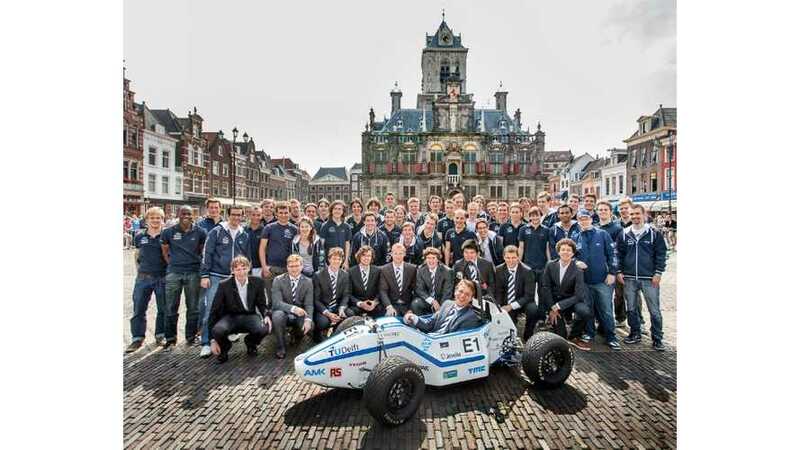 DUT Racing choose to use its older DUT12 instead of the DUT13 because older Formula Student rules allows the vehicles to be lighter and with less drag, which makes acceleration marginally quicker.